You are probably wondering how a recipe using cream could be low fat! 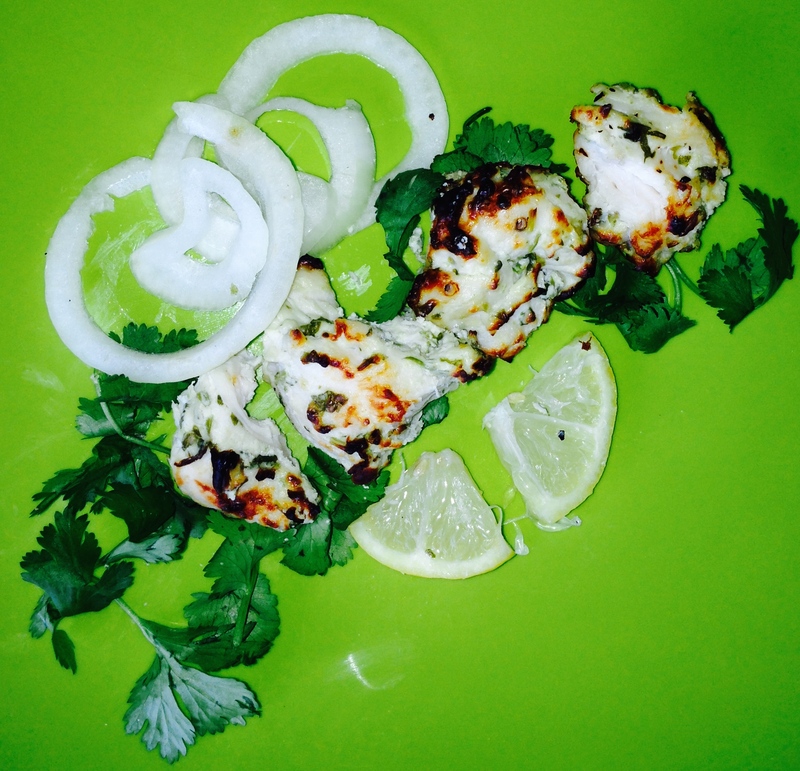 This a very popular kabab dish in Indian restaurants and I decided to make a healthy version using lower fat cream cheese instead of heavy cream. It is very tender and flavorful and can be eaten as an appetizer or as a main course. I use the double skewers for grilling the chicken from Crate and Barrel. I love using them as they are easy to turn with chicken so the second side cooks evenly. Cut the chicken breasts into 1″ cubes. In a large bowl beat the cream cheese, yogurt or milk till smooth. Add the remaining ingredients and mix well. 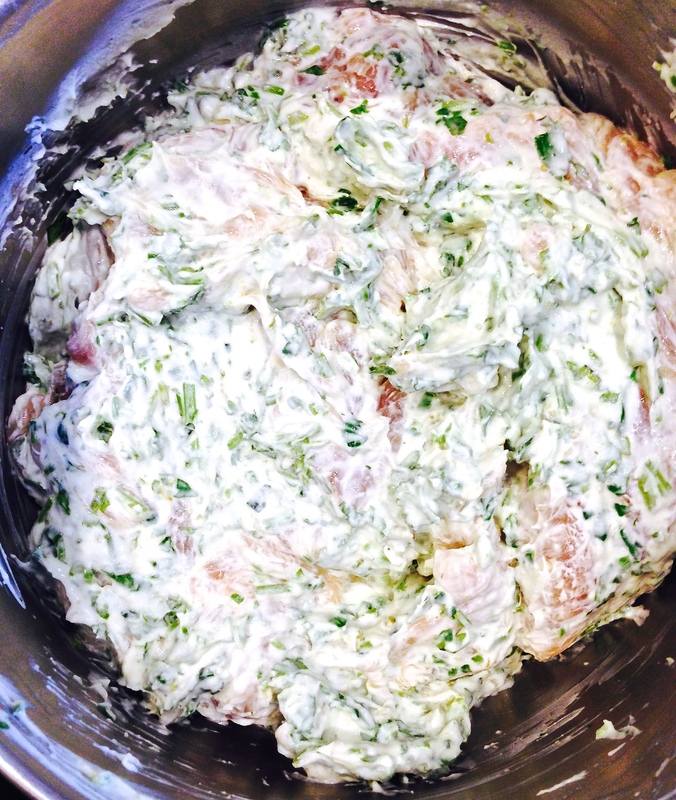 Add the chicken pieces to the cream cheese marinade. Cover and refrigerate for at least 4 hours or overnight. Skewer the chicken pieces and place under the broiler (one rack from the top) and grill for 4 – 5minutes. Turn and continue grilling for another 4 minutes till the chicken is cooked. 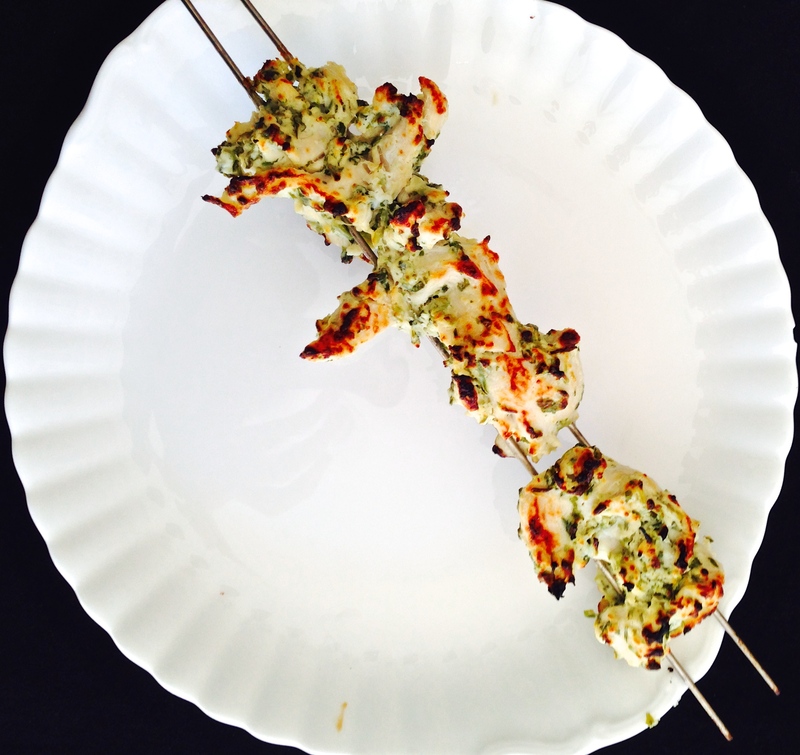 To serve, remove from skewers and serve with lemon wedges and thinly sliced onion rings. To prepare in advance: Thinly slice raw onion into rings and add to iced water. Keep until ready to use. The onion rings will remain crisp.